Jenkins Row Condos | Transportation & Location: The 2007-built Jenkins Row is located in Capitol Hill on Pennsylvania Ave SE between 13th St and 14th Streets SE. The closest Metro is Potomac Ave Metro on the Blue, Orange, and Silver Lines. The nearest grocery store is the Harris Teeter at Jenkins Row, just downstairs. Must See 2 BR with den in Jenkins Row! Incredible location, close to Eastern Market, Metros, Nats Park, above a Harris Teeter! Spacious living area with open floor plan and lots of natural light**awesome courtyard (with grills)**1 garage space included! !24 hour front desk**rooftop deck with views of the Capitol Dome**freshly painted and ready to go!! Large, top floor one bedroom Jenkins Row condo overlooking the courtyard and boasting a view of the Washington Monument. Living room with east, west and north exposures. Sunny master bedroom with Elfa walk-in closet and large, luxurious full bath. Stainless steel and granite galley kitchen open to the dining and living room. Just across the hall from the roof terrace and sundeck and convenient stair-way access to Harris Teeter. Light filled well kept Pied ~ Terre studio, walk in closet, linen & hall closets, hardwood floor under carpet, W/D, 24 hr concierge, gym, roof deck, pets are welcome and steps to metro, shops, restaurants, market, and museums. 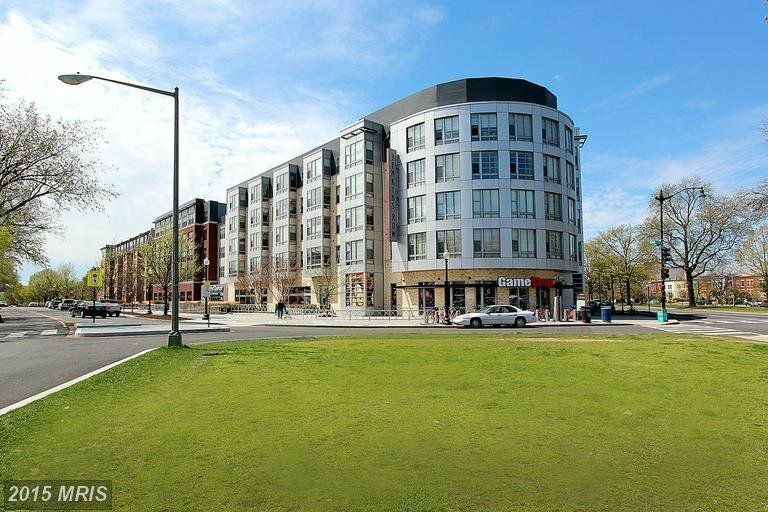 The Jenkins Row Condos Condominium | Additional Information: Also known as Jenkins Row, Jenkins Row Condos, Jenkins Row DC. Jenkins Row is located at 1391 Pennsylvania Ave SE, Washington, DC 20003. Jenkins Row Condos | Rules: Pets Allowed with a Size Restriction, Jenkins Row is managed by GHA Management (703-752-8300), VA Loan Approved Building. Building Roof Deck | Yes! Three Roof Decks!